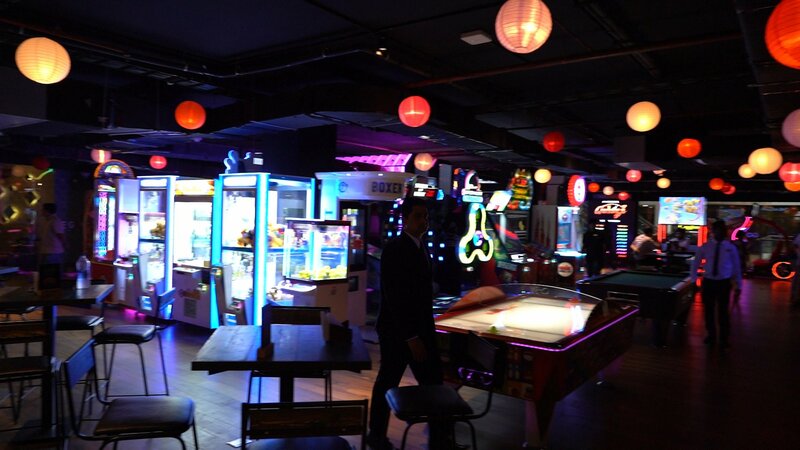 The Game: There's A New Gaming Arcade In Town And We Cannot Contain Our Excitement! How many times have you dragged your parents to an arcade and used coins to try your hand at multiple machines, trying to get tickets and avail a gift? 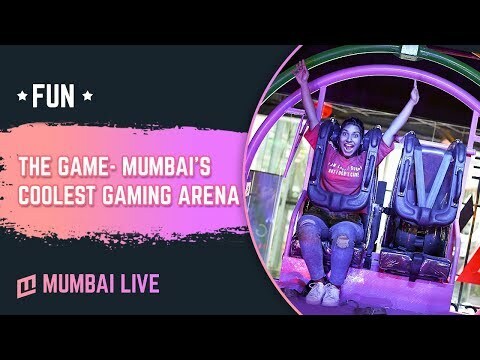 Well, when I visited the latest addition to the gaming/sports arcade segment of Mumbai, there was a gush of childhood memories which made me feel nostalgic with a big fat smile! Conceptualised by Chiliad Procons, India’s global leaders in the development of world class theme parks, ‘The Game’ is designed to meet the expectations of the adventurous as well as the entertainment-seeking people of the city. Apart from that, The Game is also a great place for families to have a fun day out with their near ones. With more than 10 real world sports activities and 40 arcade games, The Game is all set to blow your minds! Combining the latest in leisure technologies with high and extravagant entertainment value, The Game represents a posh milestone in the entertainment space. 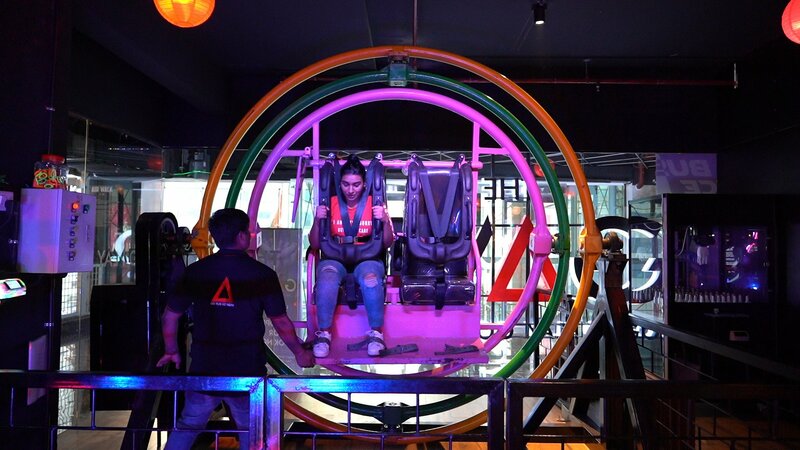 Speed Zone offers thrills for the adrenaline seeker on attractions such as the India’s first ever Bungee Soccer, the Adventure Walk, the most awaited Human Gyroscope roller-coaster with 360-degree twists and turns, India’s first Magic Alley Bowling lanes, Cricket and the unique Olympic sport Curling which will be introduced to India for the first time. The Redemption Zone hosts one of the country’s largest selection of redemption games such as Key Master, Ticket Mine, Spinner Frenzy etc. and a huge selection of exclusive merchandises for all ages. The Game has brought to life some of the all-time favorite mobile games like Candy Crush, Pac-Man, Snakes and more. It also has a lounge area to host special occasions and make it an exceptional experience. We had a memorable experience at 'The Game', collecting tickets, competing like little kids, snacking on some delicious food and also winning a Panda soft toy in the toy grabber claw machine! 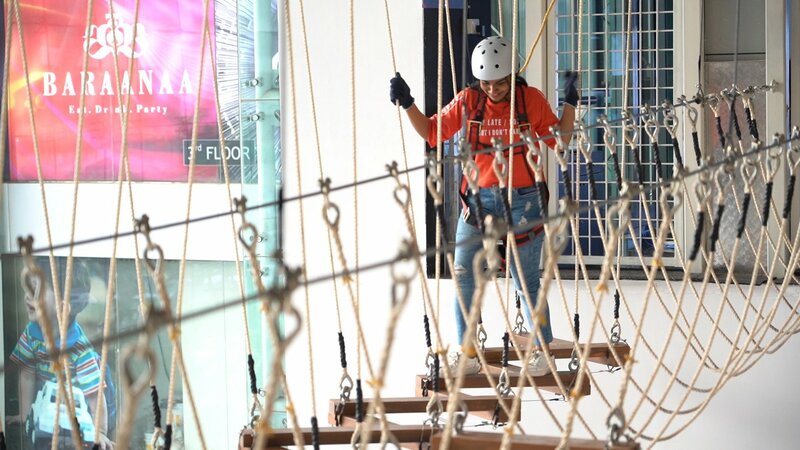 This is a good place to spend time with your family especially for the little ones, and also grown up adults can indulge in some fun, because there's no specific age to actually play games, right? Location: 3rd Floor, Atria Mall, Worli, Mumbai. Mystery Rooms - An Escape room adventure experience now comes to Mumbai!